I've been going deep into my archives lately to add a travel section to my website and came across some shots from a favorite experience from what seems like a past life. 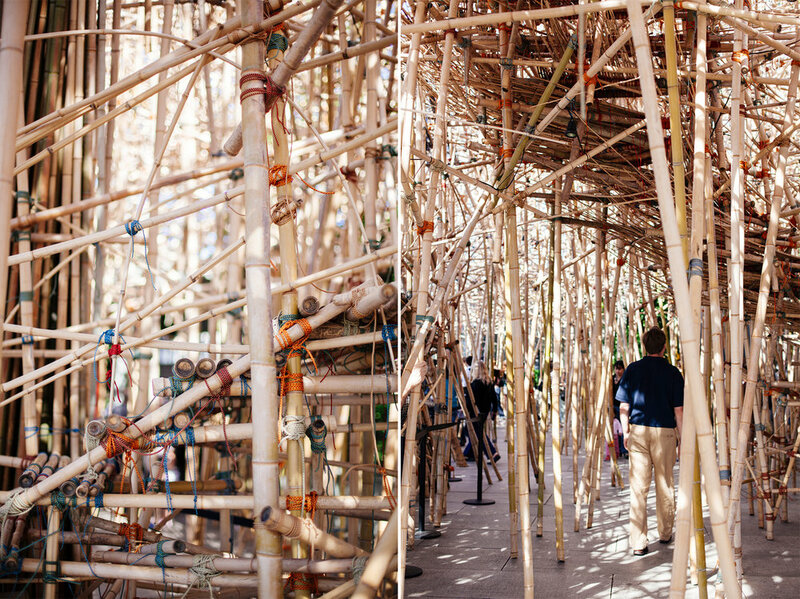 In 2010, I was living in New York and made a birthday trip with a friend to the Met to see Big Bambú by Doug and Mike Starn. Seven years later, it still stands out as one of the most impactful and joyful pieces of art I've ever experienced. 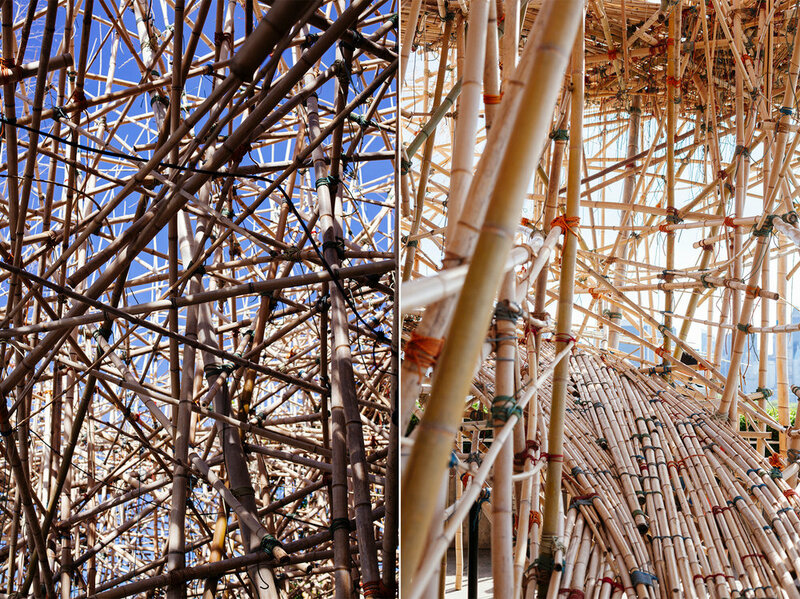 The brothers commissioned rock climbers to help install and lash-together the 100 foot long rooftop sculpture made entirely of American-grown bamboo. Visitors were able to climb around paths and stairs and if any part of you enjoyed forts, treehouses, or unique viewpoints, it would have been hard not to be charmed by this beautifully chaotic piece.